Los Angeles Sports Neurology | Vernon B. Williams, MD, Inc. The truth is that concussionsand other neurological injuries can happen to ANYONE. Because no oneshould have to "just live with" chronic pain. Credible, factual and reliableexpertise in concussion, pain management, neurological and sports-related injuries. You may have unknowingly been introduced to Sports Neurology-a very special field of medicine-one Sunday as you watched your favorite NFL player get his "bell rung" after a hard tackle during a televised football game. He's helped off the field and the media begins buzzing about a hot topic in sports today - Concussion. 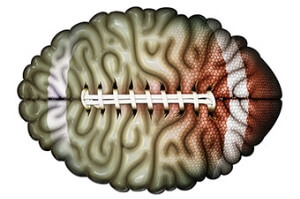 Preventing, diagnosing and treating concussions are important focuses for physicians who have made Sports Neurology our life's work.But Sports Neurology involves much more than just concussion. Spine, brachial plexus, nerve and muscle injuries are part of Sports Neurology. Consultation on safe participation in sports and exercise by those with Neurologic diagnoses is Sports Neurology. Studying the benefits of exercise on Alzheimer's, Parkinson's and other diseases as well as general health across the lifespan is Sports Neurology. And studying the brain's function, while applying technologies to train and modulate the brain for Peak Performance is Sport's Neurology. As a board-certified neurologist (certified by the American Board of Psychiatry and Neurology), focused on the field of Sports Neurology, my passion is studying and understanding how the brain and nervous system work together to make people perform. In athletics, education and even job performance, our brains are working non-stop, sending signals to our bodies that compel them to act in very specific ways. If you are looking for assistance in evaluation and management in areas of Sports Neurology, pain management, peak performance, expert witness/med-legal services, lectures/public speaking, my practice and professional expertise may be just right for you. With more than 20 years of experience, my neurology expertise is rooted in passion. Why am I so enthralled by this field? When we understand how and why the brain tells the body to function the way it does, we can actually train it to maximize that performance on and off the field, in and out of the office and throughout the entire course of our lives. The principals I apply to the field of Sports Neurology include injury treatment and prevention aspects, as well as techniques to enhance neurological sports performance in the absence of injury. The key is to study and truly understand neurological function across the entire lifespan. Athletic, academic and professional performance can all be improved by consistently monitoring aspects of neurological function and then training, modifying and modulating the brain to maximize that function. In a nutshell, we're teaching the brain to behave optimally, using it as the powerful muscle that it is designed to be. Using state-of-the-art techniques and technologies and applying them to new and exciting ways of assessing and maximizing neurologic performance are how we do it. Continue reading my story here. Traditionally, sports medicine physicians have included primary care physicians, and orthopedic surgeons. But since the central and peripheral nervous system may be substantially exposed to either risk or benefit through exercise in sports, it is the neurologist who is often best trained and best qualified to treat athletes with neurological conditions, and to be at the forefront of addressing sports-related neurological issues. My background interests and expertise might be a unique combination that exactly fits your needs. My practice found me. Now you’ve found my practice.